Originally this highway running from Liberal to Salem was a county road. Prior to its current designation as Oregon State Highway 213, the "Cascade Highway South", it was numbered as Oregon Route 215. 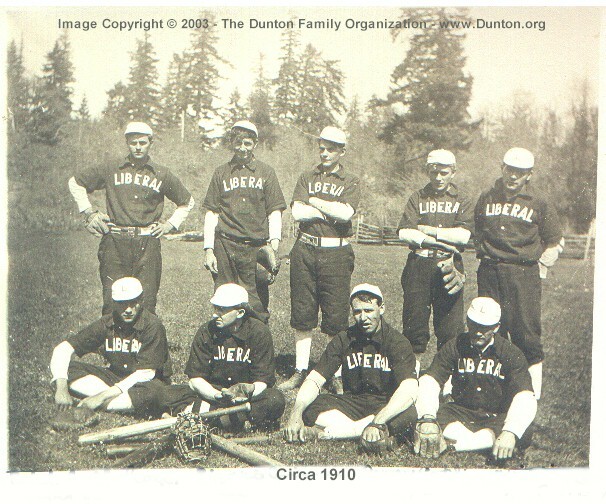 The community of Liberal grew up three miles south of Mulino on the south side of the Molalla River. The Liberal crossroads is located at the mutual corners of the donation land claims established by Harrison Wright, William Russell, W. D. Woodcock, James Barnard and Francis Jackson. 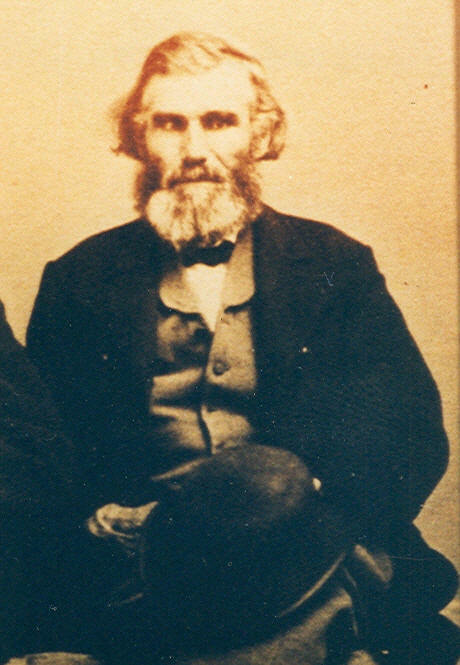 Harrison Wright emigrated from Missouri in 1844 and established the first commercial enterprise in the area - a ferry across the Molalla River. In 1866 a bridge was built spanning the river at the site or Wright's Ferry. He was a state legislator during the 1860s. Mr. Wright was instrumental in securing a post office here and it began service on on April 9, 1850 and was named the first postmaster. It was discontinued in 1851 and reestablished December 2, 1868 near what is now the center of the town of Molalla. Another post office was established in Liberal in 1893 but it was discontinued in 1918 when service was merged with the Molalla branch. The exact origin of the name of the community is lost in the past. Some believe that it was named for Liberal, Missouri (which was named for its Liberal politics). However the prevailing belief, shared by many old-timers including the late Dee Wright, a local historian, was that is was named because of the liberal credit policies of the local store. 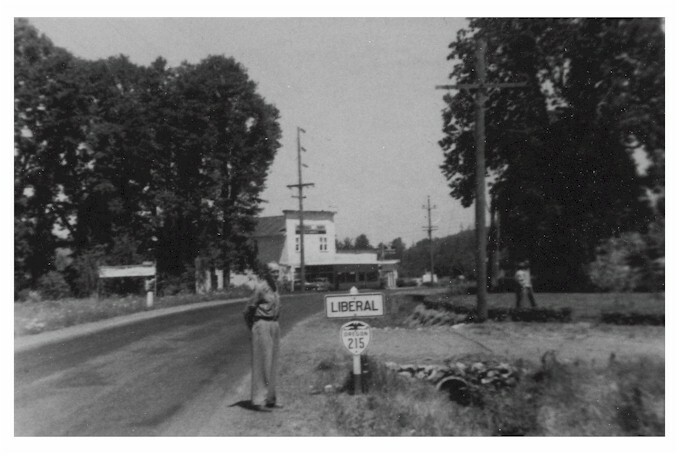 Below are individual histories of various locations in the community of Liberal starting at the Northernmost point at the Molalla River and traveling south towards Molalla. Located at the north end of Liberal on Highway 213 and the Molalla River, this was once a very popular and well maintained park. It provided picnic sites, swimming holes, ball fields, etc. Due to floods in the early 1960s and subsequent changes in the course of the river, the facilities were all washed away and never replaced. It is now a county park with little more than a gravel parking area with a couple of portable toilets and access to the river. It is still a popular summer swimming location on hot days and a place to head for fishing. 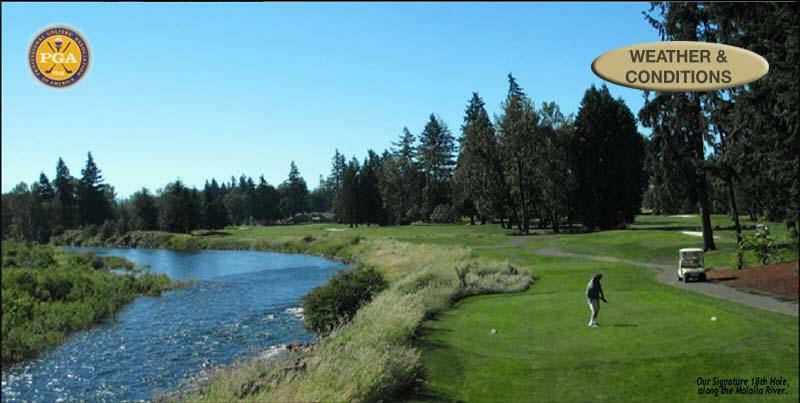 Once a dairy, this private country club opened in 1962 and hugs the Liberal, Oregon side of the Molalla River. It offers an eighteen hole course, indoor swimming pool, racquetball courts, and pro-shop. In addition, Arrowhead is the home of a lounge and restaurant called "Legends," that is open to the public. Full menu, bar, and a nice selection of beers are on tap. Large windows and patio seating (weather dependant) take advantage of the beautiful scenery. 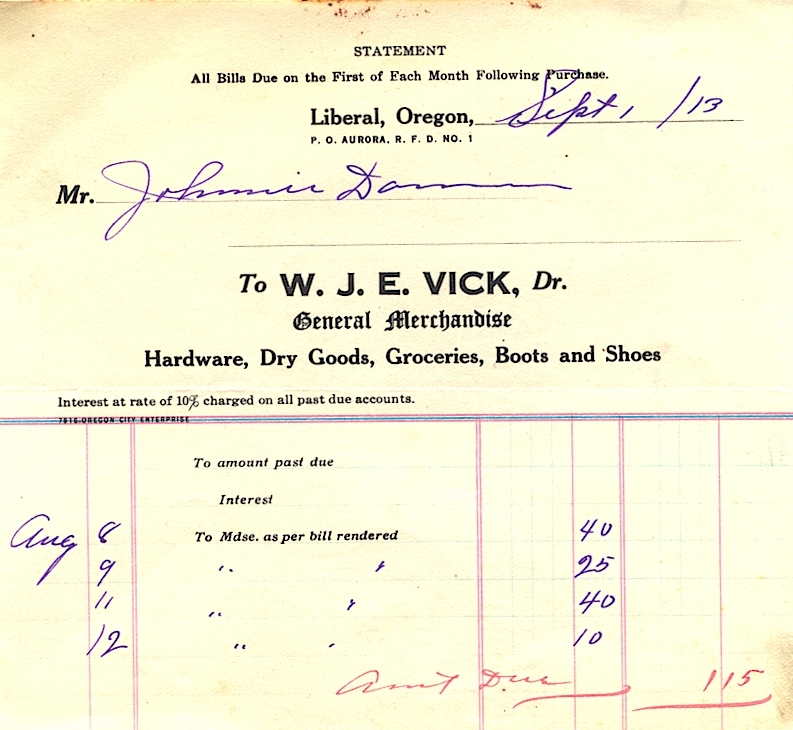 The Liberal Store was built as general merchandise business by William "Bill" Jakob Earnest Vick. Coming from an old family in the community, he grew up a short distance to the south of Liberal on the family homestead on Vick Road. It was only natural for Mr. Vick to choose to stay in the area, carve out a living, and raise a family. Bill and his wife Effie (Callahan) Vick built an arts and crafts style home which is thought to be a Sears and Roebuck precut kit. It was sited directly to the north of the store. Both structures, although in disrepair, still stand to this day. Mr. and Mrs. Vick raised their only child, Francis there. The space above the store was originally a large open area that was used as a dance hall and meeting place. It has since been converted into living quarters. Liberal in the 1920s has been described as "a thriving community." Back then, the Southern Pacific Railway made two round trips per day between Canby and Molalla and the Willamette Valley Southern Railway's trolley was making four round trips daily from Oregon City to Molalla. There was a boardwalk from the store up to the church on the hill. "It was great fun to walk up the board sidewalk to the Southern Pacific Station, catch the train to the Canby Fair, stay all day and come back that evening. The passenger coach had elegant red plush seats." The structure also served as a post office until a post office was established in Mulino. The store was designated as a local landmark by the Molalla Historical Society in 1979. Off of Hwy 213 on Molalla Avenue is the Stipp residence built in 1911. It was sold outside of the family in the 1990s to Gingrich Farms. The house is used as a rental property and the fields were planted in filbert orchards. Next door to the Stipp residence is the Stipp barn built in 1911. This forty foot by seventy foot barn cost $1200 to construct and was fitted with twenty six boxing and patent stanchions. It has board and batten siding with a cupola and gable roof and sliding side wall and windows. It is a registered historical structure. Built in the 1960s or 70s, the mill is owned, operated, and services Willamette Egg Farms, a wholly owned subsidiary of Post Holdings. 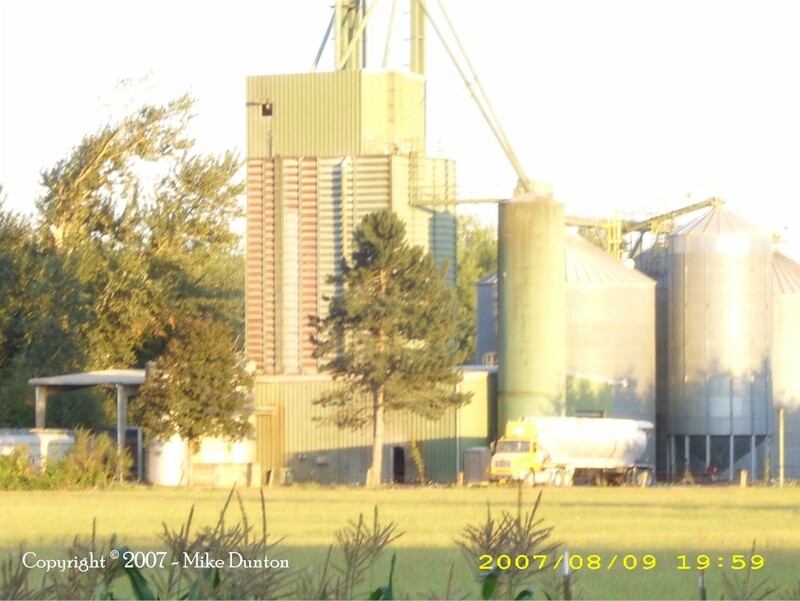 The mill utilizes the Oregon Pacific Railroad to carry in raw materials and trucks the feed that is manufactures to its farms six days a week. The Liberal School was the classic single room schoolhouse located on Molalla Avenue across from the Stipp Property near the SP Railroad tracks (now the Oregon Pacific Railroad). The school was attended by several generations of our family as well as those of the local community. Family members, including the founder of our farm, Victor Hugo Dunton, also served as teacher. 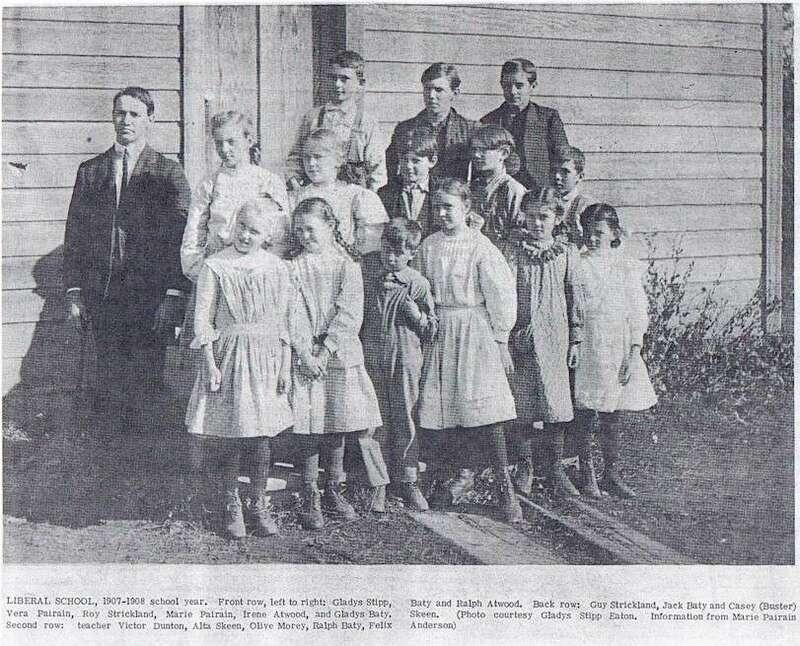 The school was closed in the middle of the 1949-1950 school year and the students absorbed into the various schools of the Molalla School District. The property was sold and the structure then served as a private residence for many years until it fell into disrepair and was torn down in about 2000 to make room for a modular home. circa 1910. 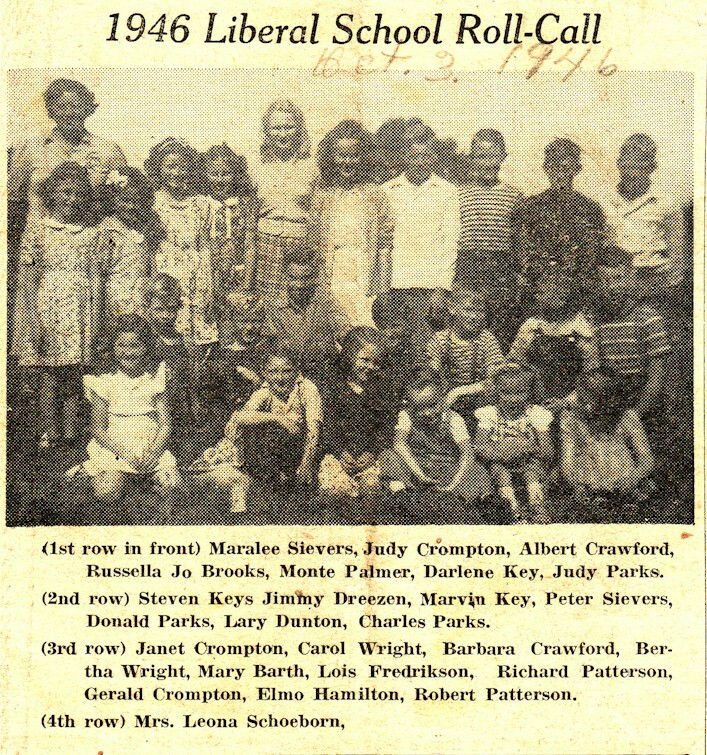 1946 - One of the last school years before the student body was absorbed into the Molalla School District. 1. William "Bill" Jakob Earnest Vick, b. May 28, 1881 and d. December 20, 1965, was the founder of the old country store at the intersection Macksburg Road and what is now State Highway 213 in Liberal, Oregon. He was the brother of the Dunton Family Farm's "co-founder", and Mike Dunton's Great-grandmother, Eda Caroline Vick Dunton. The store is still in operation and the building listed on the historic register. 2. Dee Wright, local historian.